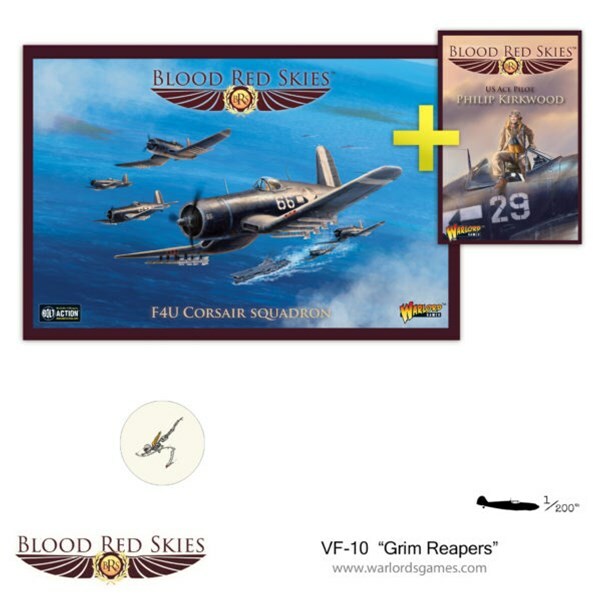 VF-10 began its illustrious career flying the Grumman F4F Wildcat, deployed with USS Enterprise to the Southern Pacific, taking part in the 1942 Battle of Guadalcanal. 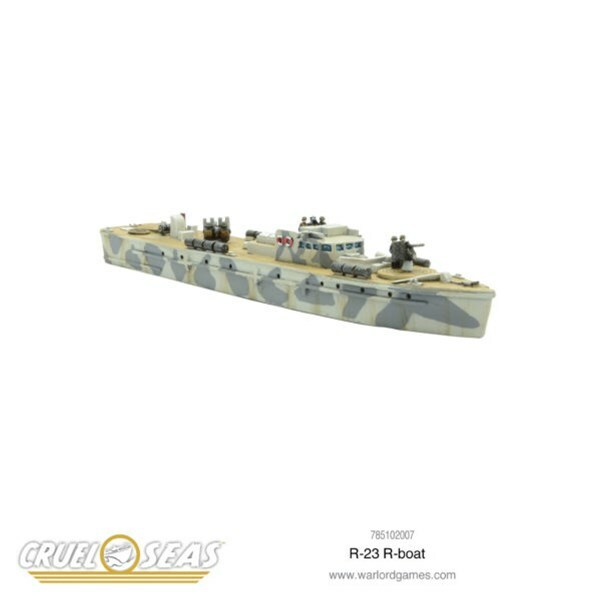 Returning to the U.S. they transitioned to the Grumman F6F-3 Hellcat and once again deployed to the South Pacific aboard Enterprise. 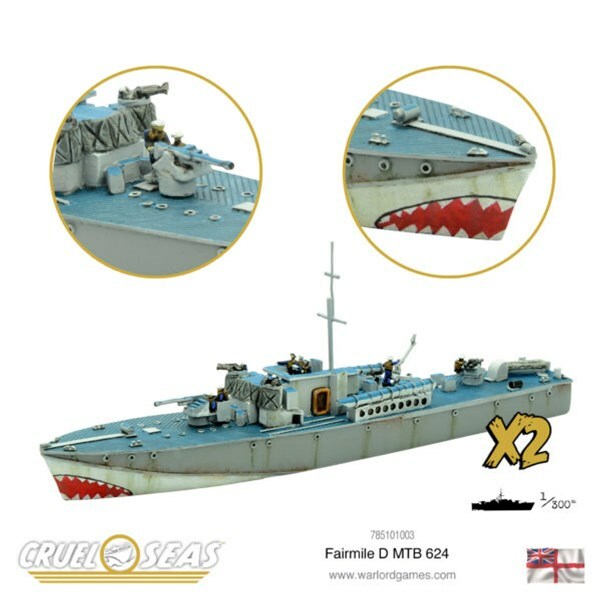 During this second combat tour, VF-10 was heavily involved in operations from the Marshall Islands and on to Jaluit, Emirau, Western Caroline Islands, Hollandia, Truk Lagoon and the Battle of the Philippine Sea (known as the Marianas Turkey Shoot). 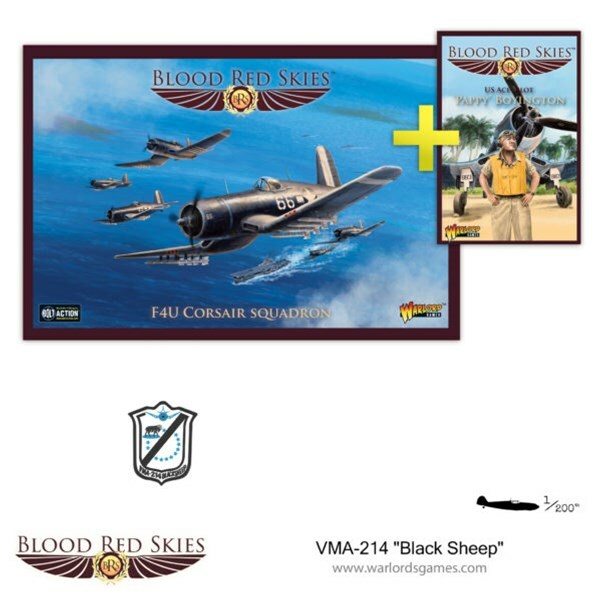 In 1943, a group of twenty-seven young men under the leadership of Major Gregory “Pappy” Boyington (just returned from a year’s tour in China as a member of the 1st American Volunteer Group (The Flying Tigers)) were joined together to form the original “Black sheep” of Marine Attack Squadron 214 (VMA-214). 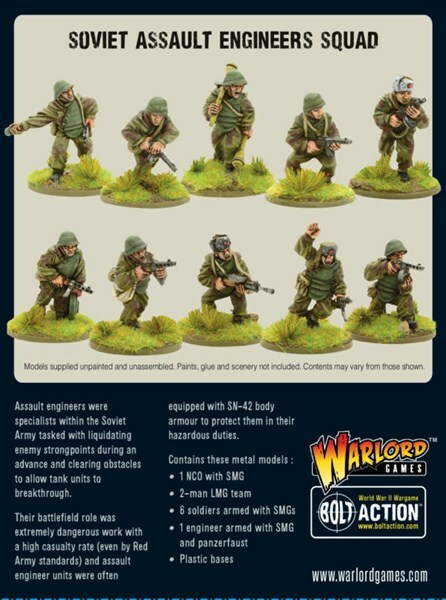 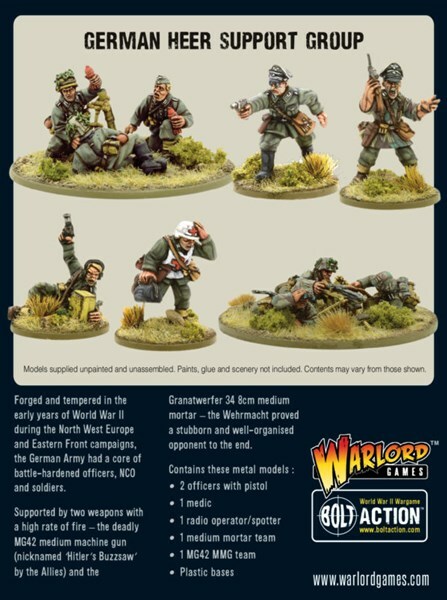 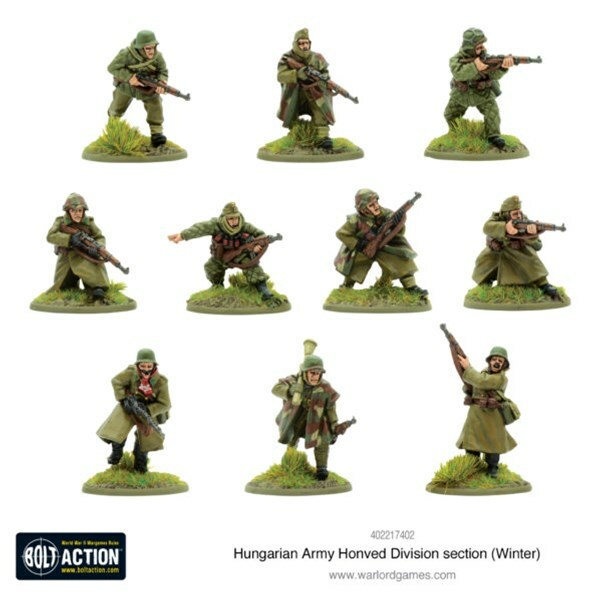 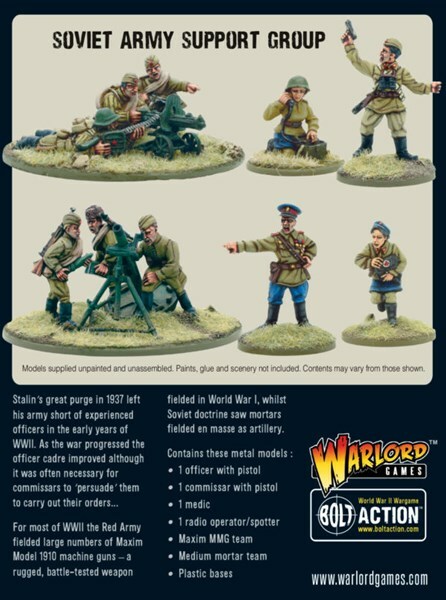 More men for the cause; send the Axis forces diving for cover with the new Soviet Assault Engineers squad and Soviet Support Group.